before starting the Modified Atkins Diet. dramatically shorten your learning curve! Watching your loved one have seizures, or having them yourself, can be a very emotionally difficult thing to do. Our daughter struggled with over 100 seizures every day, even while heavily medicated, and we were scared of the medicine we were giving her. We felt helpless. We took it personally and we tried every treatment we could find. For us, the solution was found through Johns Hopkins, Dr. Kossoff, and the Atkins Diet. 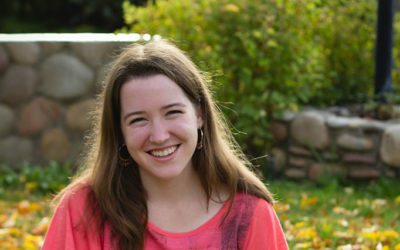 In a short period of time, the Modified Atkins Diet allowed our daughter to go off all her medication and reduced her seizures to just 15 a day. Now she is seizure and medicine free. We sincerely hope our experience will help you. The ebook is written in story format and details our experience with the Modified Atkins Diet for Seizures. It has been downloaded by hundreds of families, doctors and nutritionists around the world. It is not a “Do-It-Yourself Guide”, as we are not doctors and we strongly advise you observe this protocol under the direction of your doctor. However, this book will dramatically shorten your learning curve. We spent many hours online, at the grocery story and on the phone with our doctors trying to figure out the answers to many worries I’m sure you have and you will find all of that in our story. This book is exactly what we wish we would have had when we started out! Does The Modified Atkins Diet work for adults? YES. 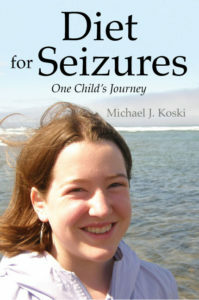 In fact the ebook includes interviews with two adults who are successfully using the diet to manage their seizures. Is the book only available as a download? NO. However, this is the fastest way to get the information. The ebook comes in pdf format or word document format. It can be read on any computer, ipad or Kindle. If you would prefer to order the paperback version it is available on Amazon at this link to Amazon. Please note the title is different, “Diet for Seizures”, but the information is the same. Does the eBook include recipes? YES. There are some recipes included in the book. You will also find recipes on this website and in the resources list on the resource page of this website. I am a Doctor or Nutritionist, will the eBook help me to help my patients? YES. Through our story you will learn about the side effects and hurdles your clients will likely face and how you can assist them to overcome these potential setbacks. You will also learn the various theories as to WHY this protocol is working and through this may be able to discover/craft a therapy more specific to your patient. Important too is learning the differences between the traditional Atkins Diet and the Modified Atkins Diet for Seizures. Can I get my money back if this isn’t what I was looking for? YES. Just email me and I am will be happy to refund you if you are not happy with your purchase. My email address also comes with the ebook when you download it. How much time is required to implement the Atkins for seizures diet? What are some of the emotional hurdles that may be faced? How can we get our child to eat differently than the family and her classmates? What kind of complications and side effects may arise? Can we still go out to eat? What about school lunch? Where can I find financial assistance for this project? I thought the Atkins diet is for weight loss, how can I keep my growing child from losing weight on the diet?